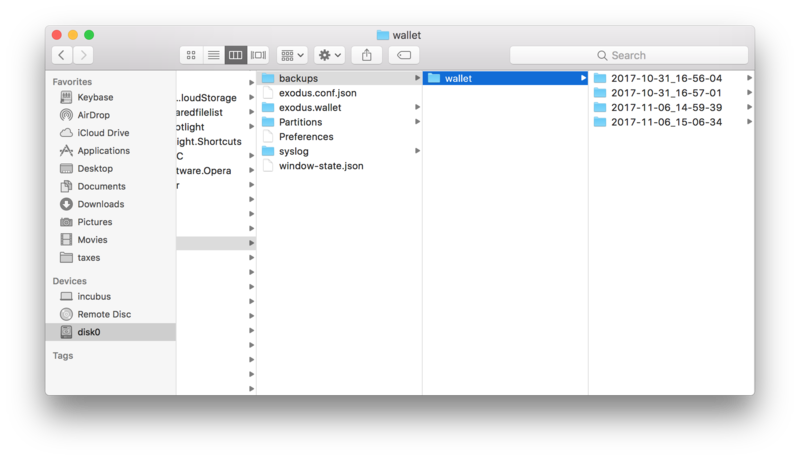 In this article, we’ll be showing you how to restore your wallet from an archived wallet backup within the wallet data directory. This is an advanced method of recovery and you should not be trying this without the consultation of our support staff. 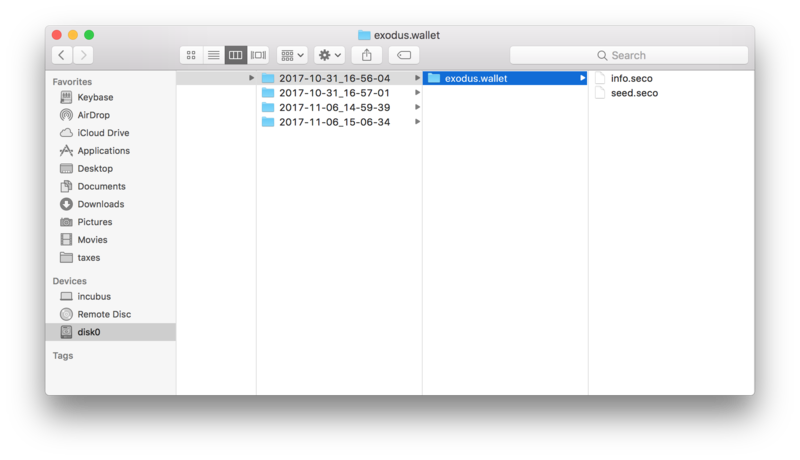 If you restore an Exodus wallet with a different wallet’s 12-word phrase, it will overwrite and archive the current wallet’s 12-word phrase, addresses, and private keys. Sometimes it can happen that you may have ended up with a blank 12-word phrase that overwrote your current wallet or perhaps mixed up the 12-word phrases of two different wallets. Thankfully, as long as the wallet files are still there on your computer, you can still restore them by swapping the archived wallet files into the current, active wallet folder. Keep in mind that this is a safety feature and not intended to be the standard medium of wallet backups and recovery. Ideally, you should use the 12-word phrase, but if you overwrote your wallet before you had access to either of those, this will be your best option. This will export a copy of your data directory to your Desktop. Check to make sure it's there before continuing. You'll need it in case something goes wrong. If navigating through your file explorer directly, you may need to enable hidden folders to be able to find this location. 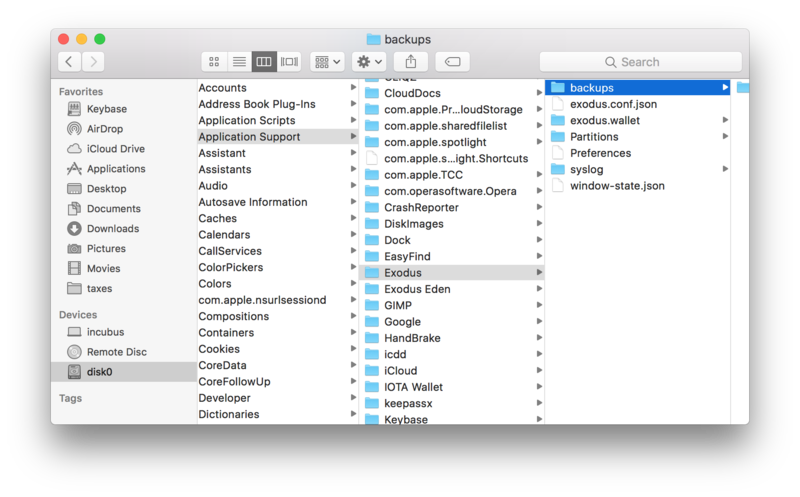 Once you find the folder, look inside it to see if you can find a sub-folder labelled backups. 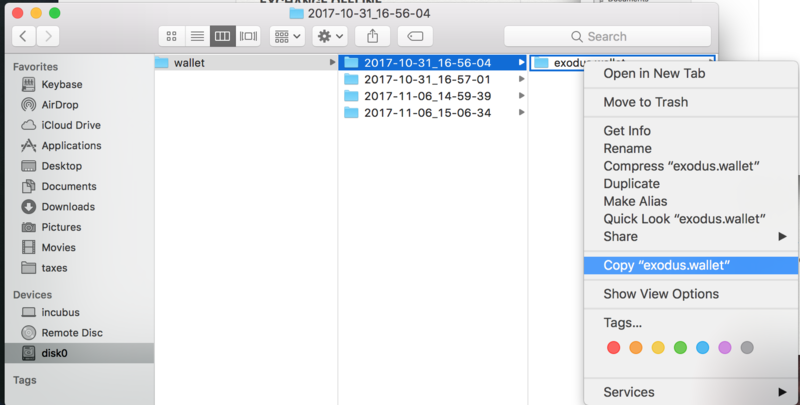 Each of those timestamped folders is a copy of a previously existing wallet, which was archived the moment it was overwritten by restoring. These are the important files that contained your previous wallets’ raw private key data. Return to the top of the data directory. 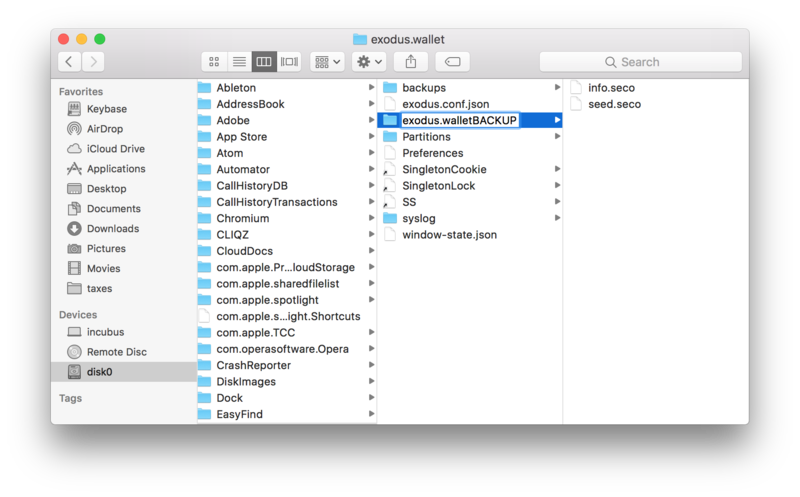 Notice the folder at the top level also labelled exodus.wallet. 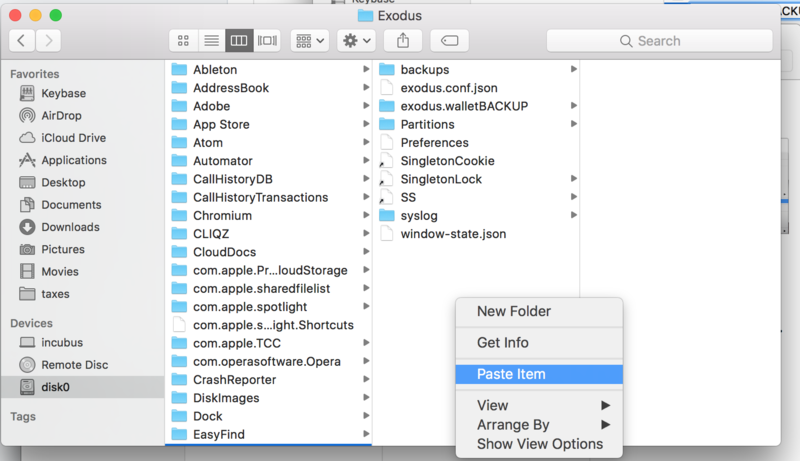 It is this folder we're going to replace, so just rename the current one to something else, like 'exodus.walletBACKUP' or any name you'd like. This prevents the current wallet files from being overwritten when we restore the archived backup. Once pasted, you can then open Exodus, and you should have access to whichever wallet you just restored. If you had a password set, you will need it to access your encrypted files.